Surprise!! 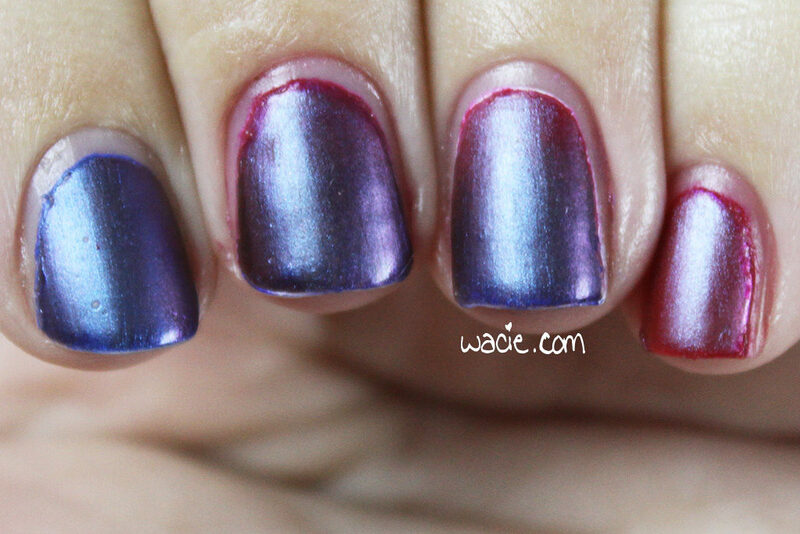 There’s a bonus swatch for this week! 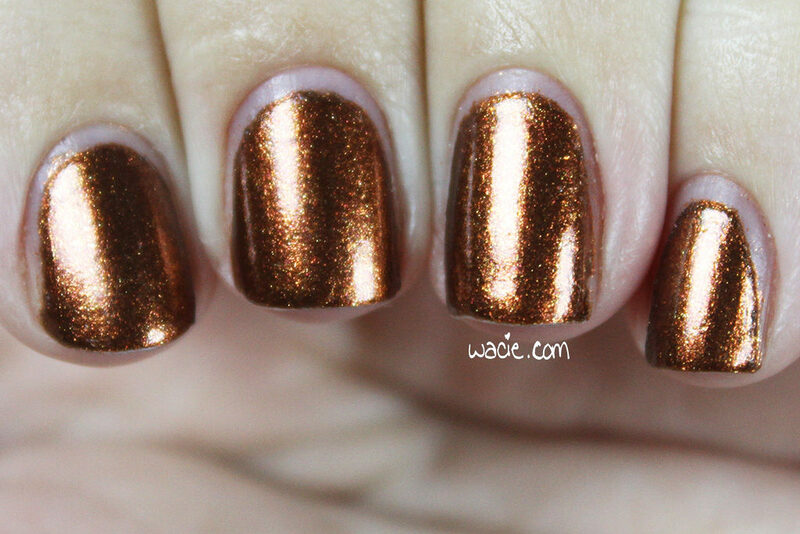 Since I had an easy-peasy peel-off polish in the swatch queue, I decided I’d just get it out of the way this week. This is Sula Beauty’s Paint and Peel in Haze; I’m wearing three coats without base coat or top coat. Also, apologies for not delivering the cleanest swatch ever. Paint and Peel is water-based and didn’t work with the usual acetone clean up. 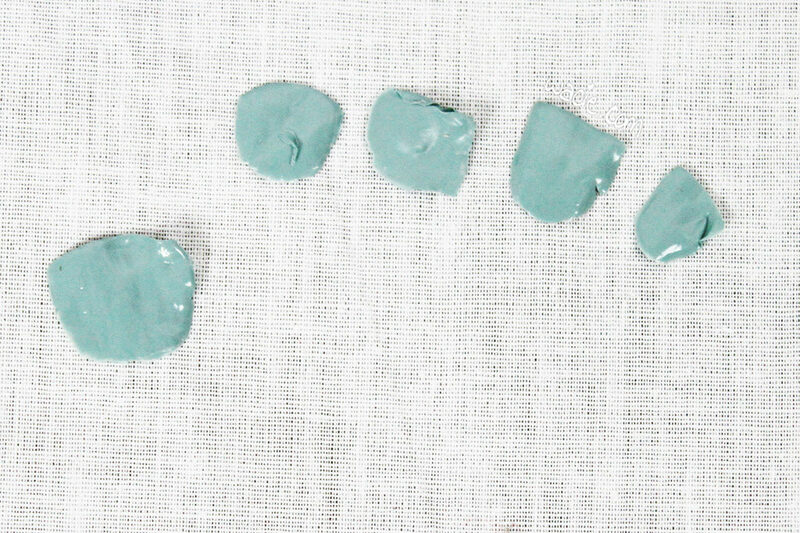 Haze is a dusty blue creme. 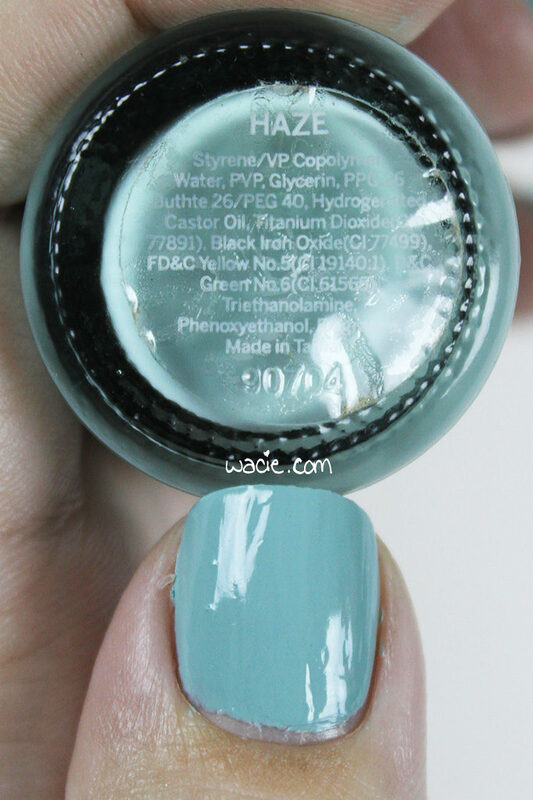 Application was okay; my bottle is old, and so the polish had a thickness that, due to the water-based formula, I wasn’t sure how to resolve. 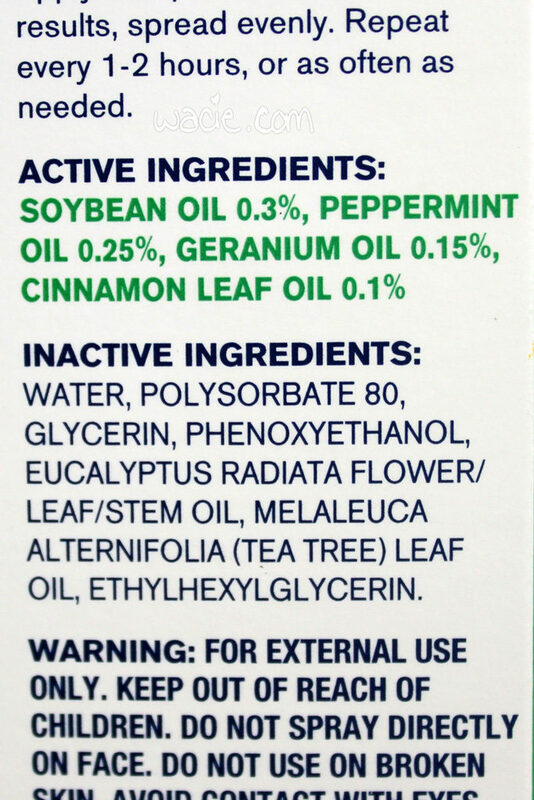 A few nuggets of dried product were also in the bottle, likely from being on the neck of the bottle and falling in when opened. Despite this, I still got a good clean-ish application. Coverage is good; I had a nearly opaque first coat that evened out with a second. It dries quickly and with a glossy finish. Paint and Peel is pretty cool stuff. It’s the least nail-polish-like polish I’ve ever used. It’s water-based, as I mentioned earlier, so it lacks that harsh solvent smell that a typical polish would have. It does have a smell, but it’s a different smell, sort of like clay. 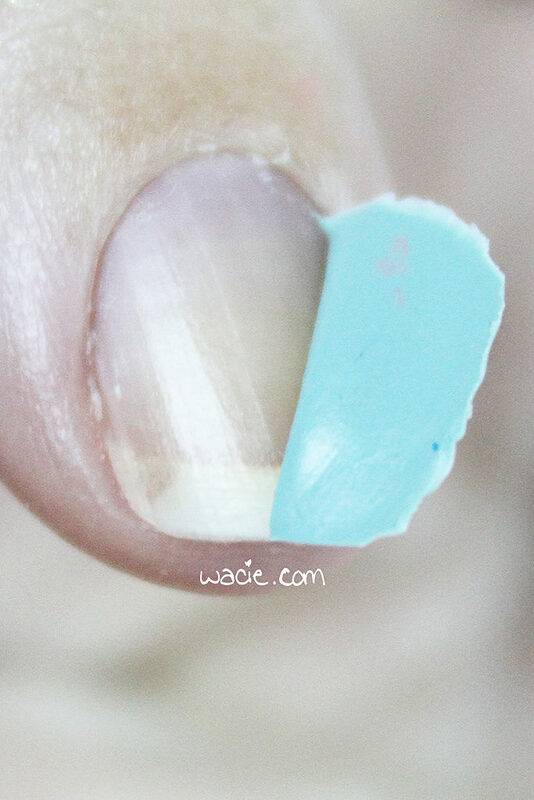 It peels off very easily by pushing the edge of the color away with an orange stick. It reminds me a lot of the peel-off Tinkerbell nail polish I had as a child. 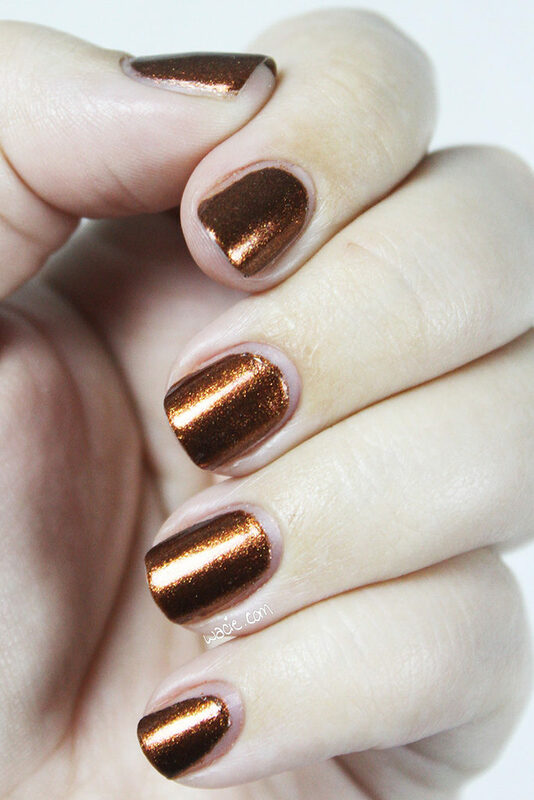 Of course, if lasting color is something you’re after, base coat and top coat will add to the life of this polish. Me? I’ve never been able to keep this polish on. As soon as I’m done applying it, I’m already looking forward to peeling it off because peeling is fun. Now, here’s the sad part. I don’t know that Sula Beauty as a whole exists anymore. Their website is a logo and an email link, and their Facebook page hasn’t been updated since 2012. If they’re really gone, that’s a huge shame. 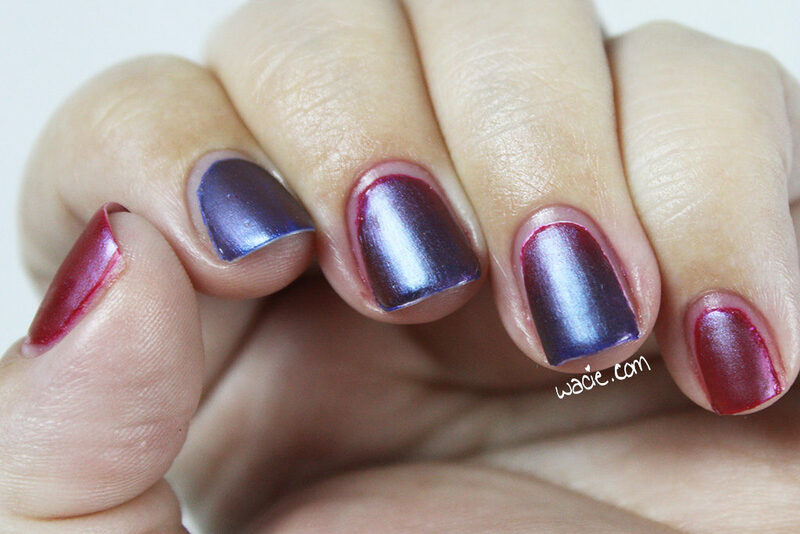 I would love to have more of these peel-off polishes, and they made some other good stuff as well. Hopefully they’re still out there somewhere. Welcome back to Swatch Saturday! 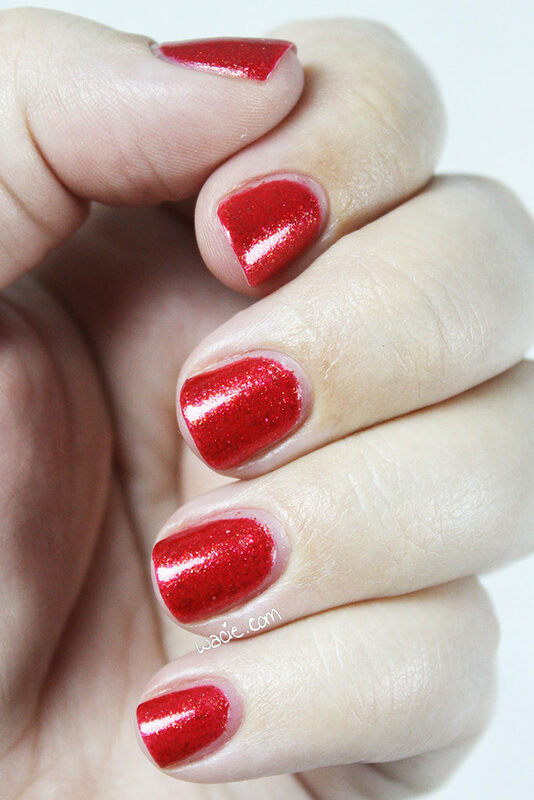 Yep, it’s another BEGL polish! 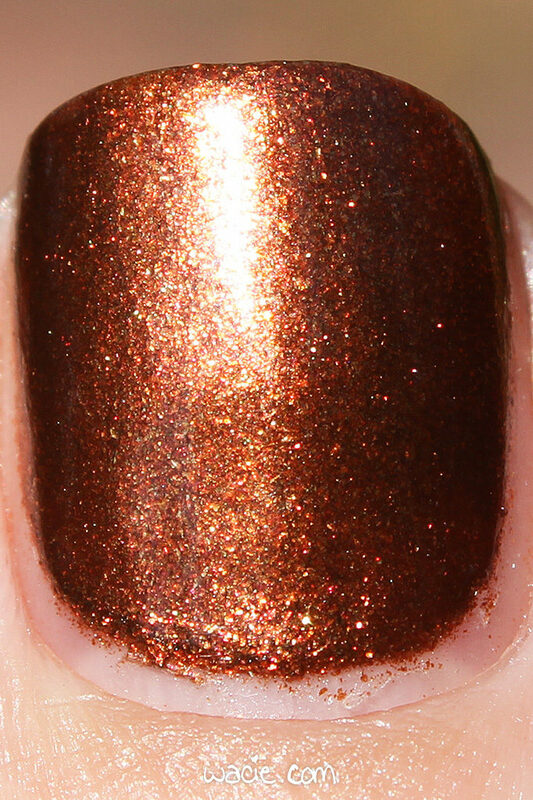 I’m getting into a new collection with this week’s polish, the Spark in the Dark collection from winter 2015. I’m really excited to be getting into some newer BEGLs. And by newer, I mean it’s only a year old. This is She’s Electricity; I’m wearing three coats with one coat of Seche Vite. All photos were taken in direct sunlight. 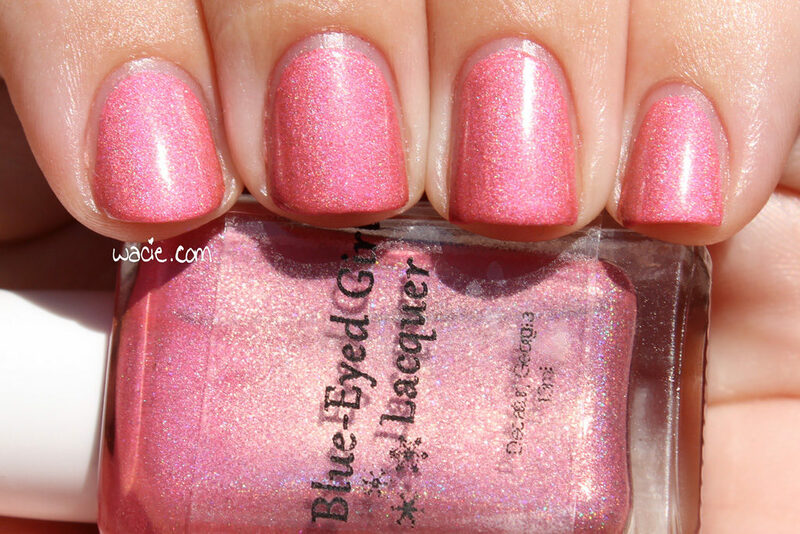 She’s Electricity is a bright pink holo with pink shimmers. 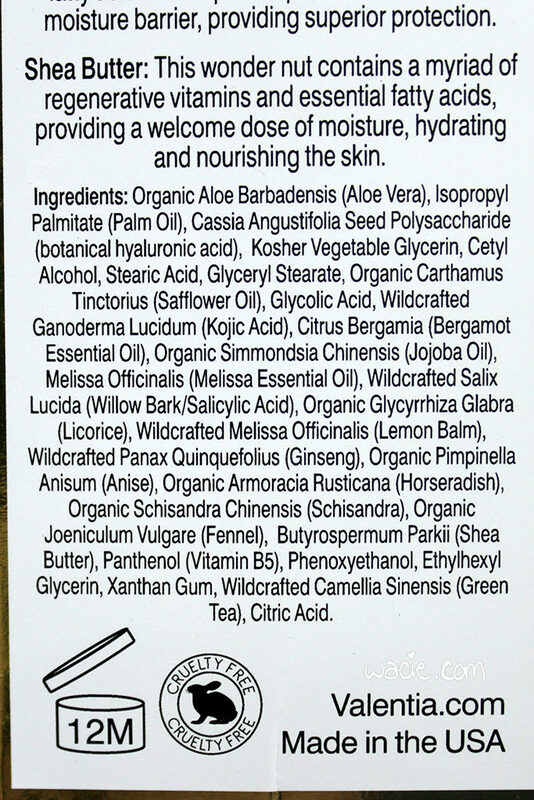 The maker’s description lists aqua shimmers and iridescent microglitters as well, but I didn’t pick up on those. 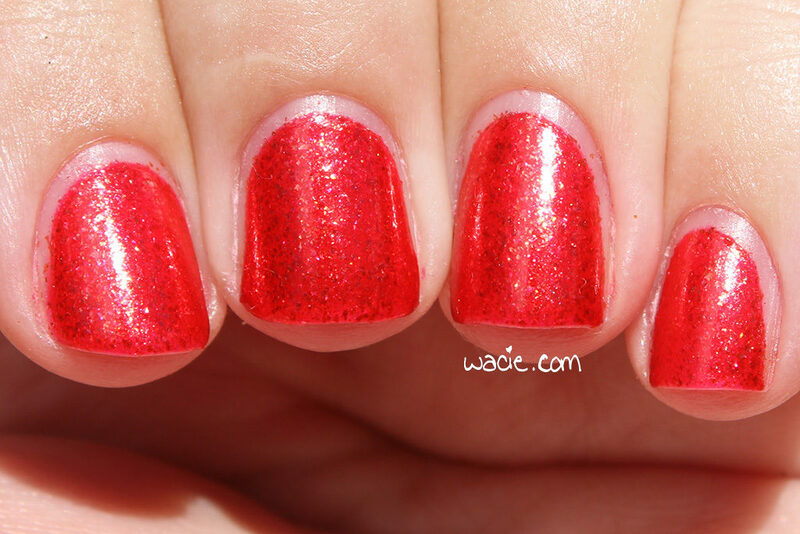 Application was good; the product consistency is pretty great with this polish. 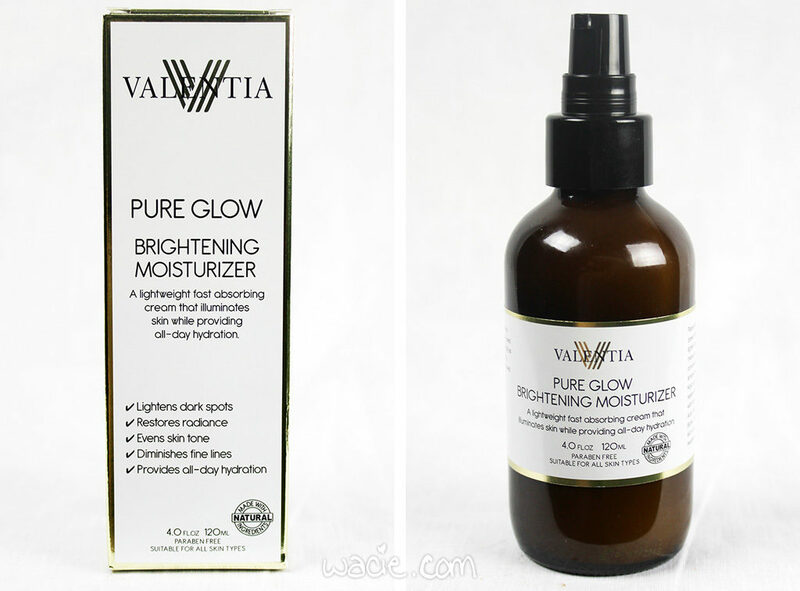 It’s easy to work with but there’s a lot of pigment to get full coverage right away. Get this — one coat gave me all the coverage I needed. I didn’t stop there, of course, but I definitely could have gotten away with one if I wanted. 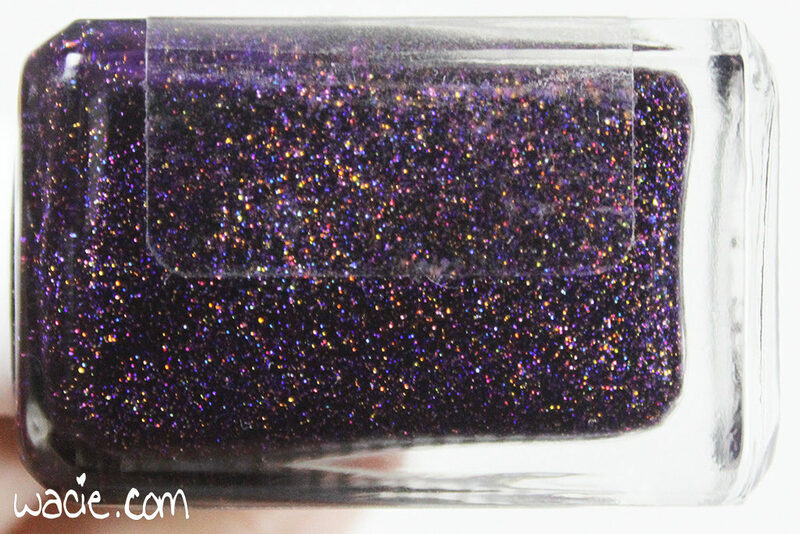 Because it’s so pigmented, it dries with a matte finish. 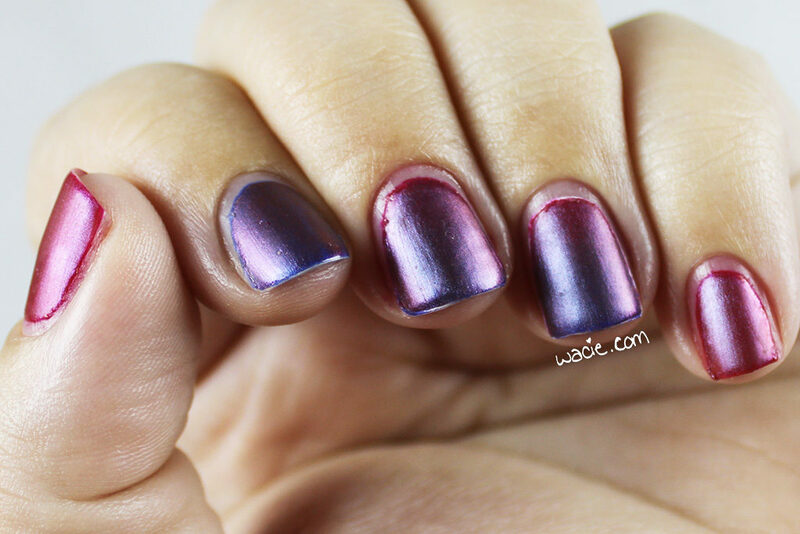 Top coat was definitely necessary for the shine and holo effect. 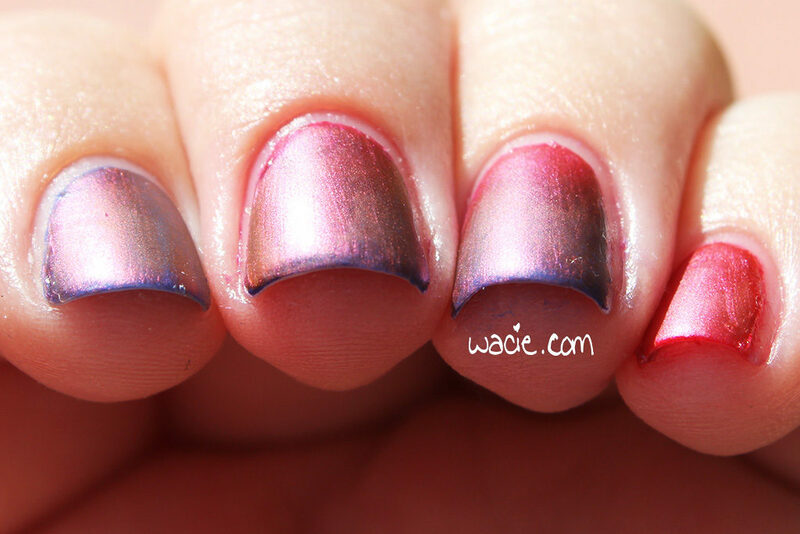 This pink holo is so much fun to wear. I didn’t really do it justice in these photos. 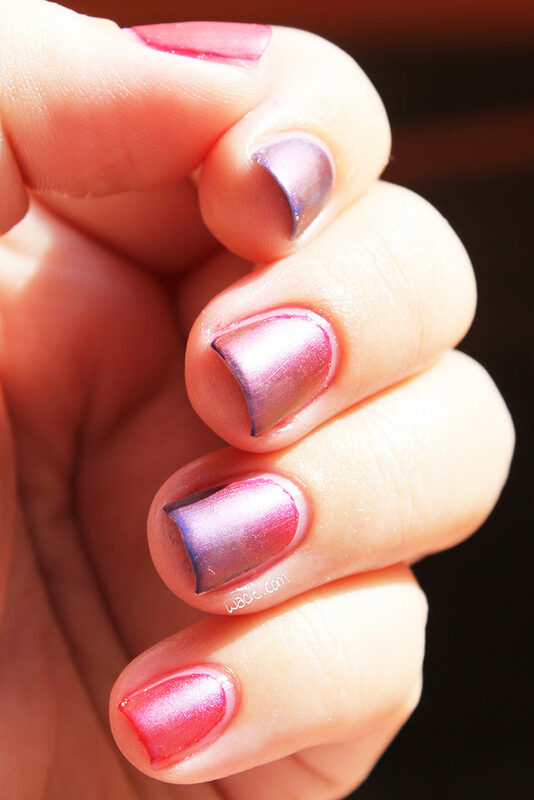 The holo effect is pretty subtle here, but it was a lot more vivid in person, though still subdued. I don’t know if using fewer coats would have meant a bigger rainbow or not. Fewer coats might have helped me find those iridescent glitters. In any case, I love this polish. It’s so pink and I love it. 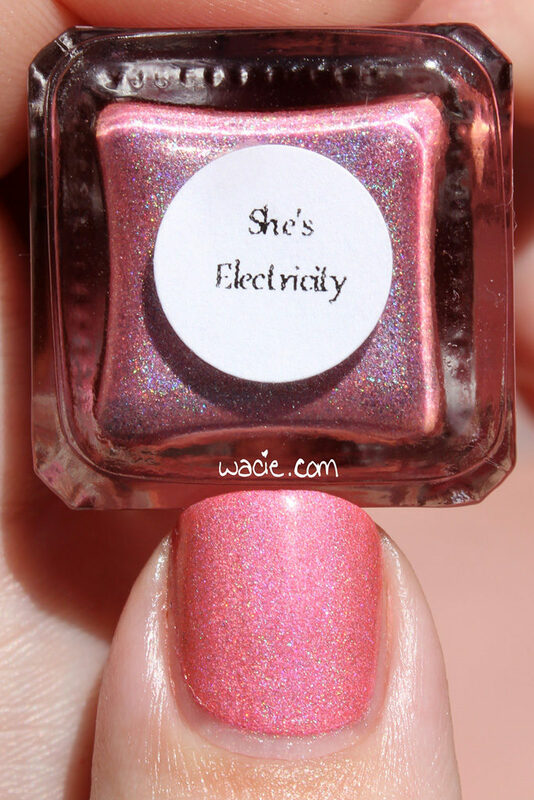 She’s Electricity has been re-released as part of the Fan Favorites 2016 collection, however, as of this writing, the BEGL shop is closed and will reopen later this month. Hope you had an awesome Labor Day weekend, reader! The very long weekend — in addition to today’s holiday, we all had a hurricane day on Friday — has shifted my posting schedule a bit. 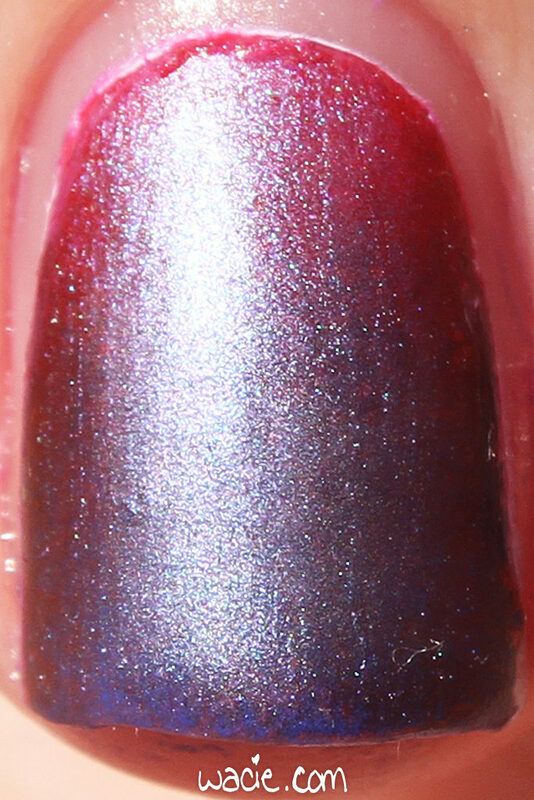 Here’s the swatch I intended for Sunday, but is going up on Monday instead; here is SpaRitual’s Intention. 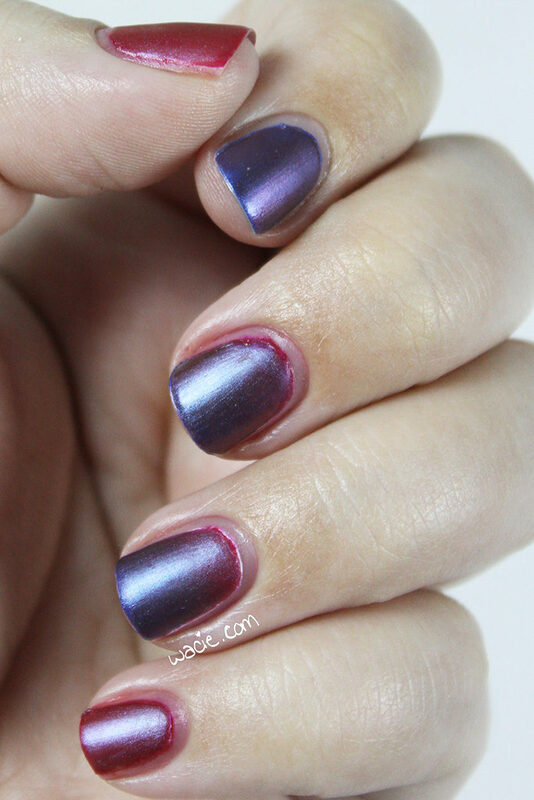 I’m wearing three coats with one coat of Seche Vite top coat. 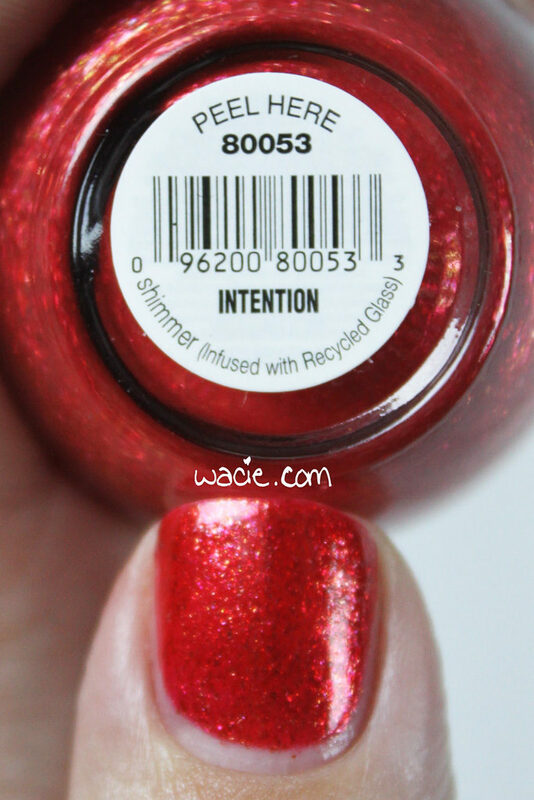 Intention is a sheer red with red, pink, and gold glass flecks. 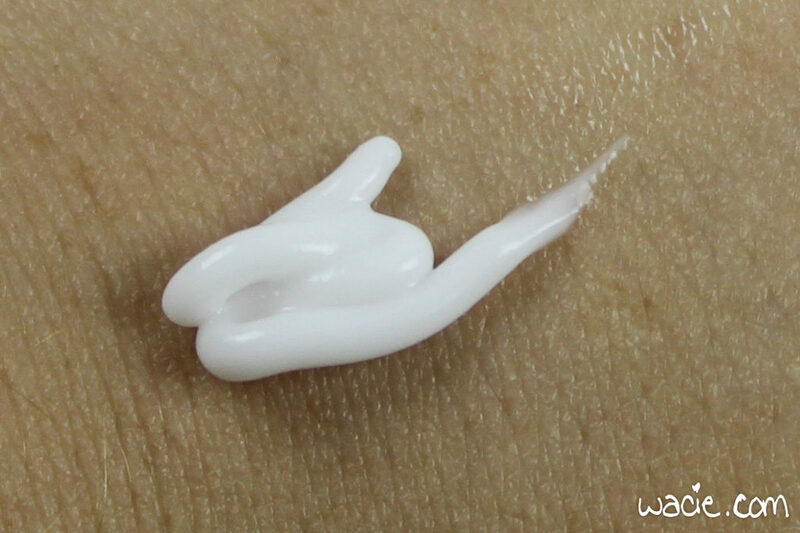 Application was easy; the product consistency is on the thinner side, and as you may have guessed, the first coat was a bit thin, but still had good color and coverage. 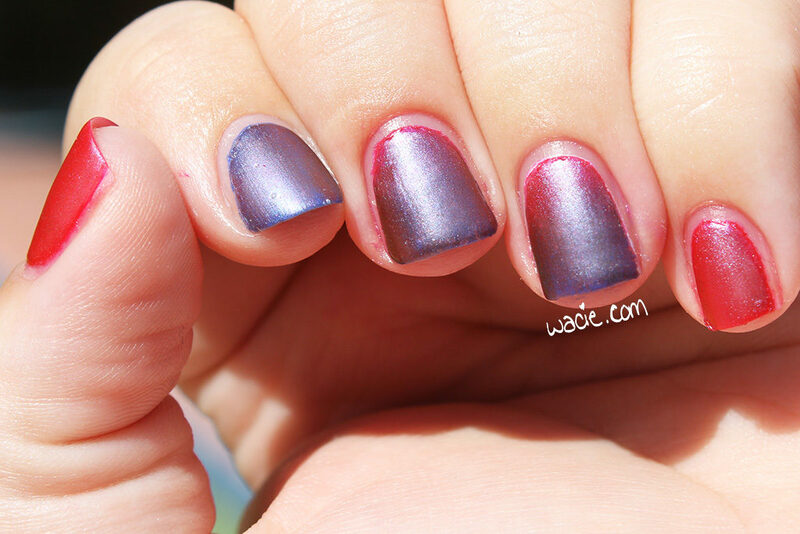 All three coats were necessary for good opacity. 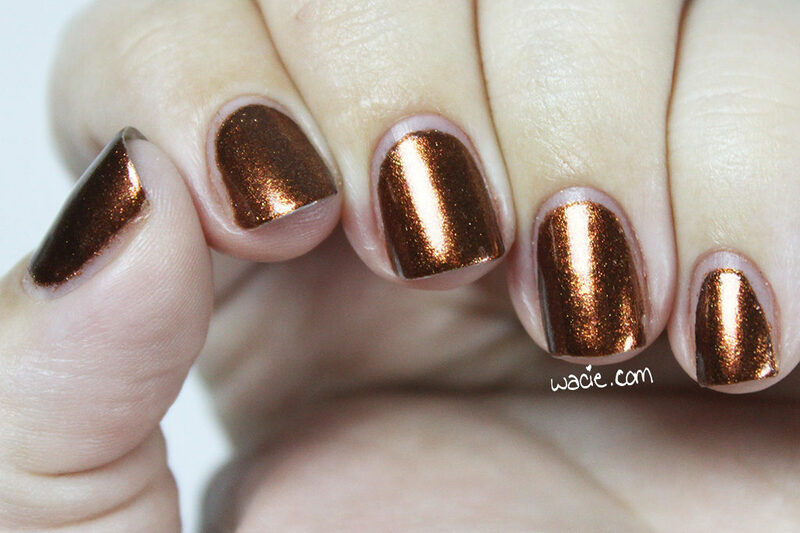 The polish dries with a satin finish, and with the glass flecks, it creates an almost metallic look. I used top coat for extra shine and protection. I love Intention, and I’m happy to be using it so soon after trying out Intuition a few weeks ago. I bought these at the same time and think of them as sister polishes. I really love the glass flecks in them; admittedly, I didn’t even realize they were glass until I was doing the shoot for this swatch and saw the label — “infused with recycled glass” — and thought it was really cool. I even checked my other bottle and it says the same thing. I had no idea! 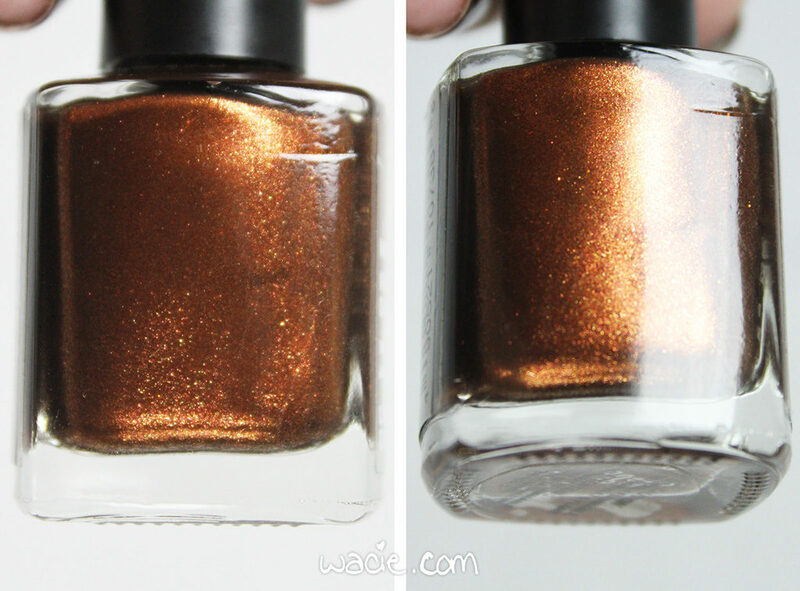 I mean, the effect is a bit different from a regular shimmer polish, but now I know why. 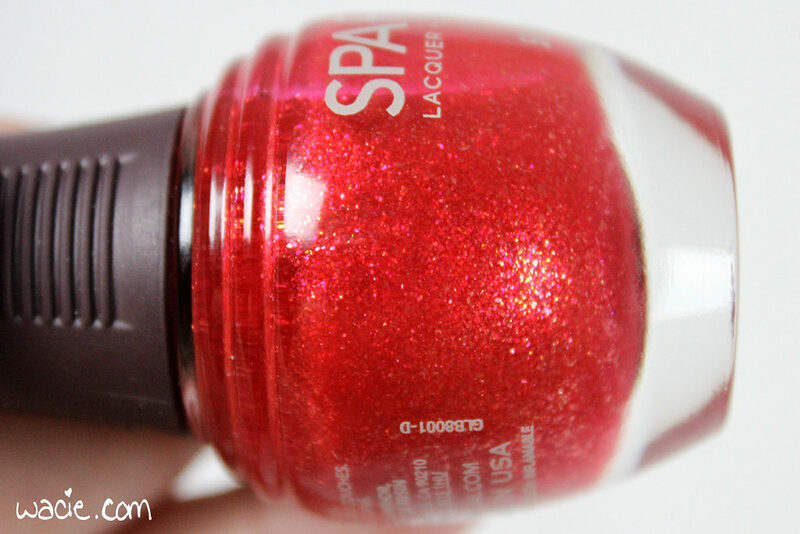 In the sun, the red really warms up, and the shimmers glow really nicely. 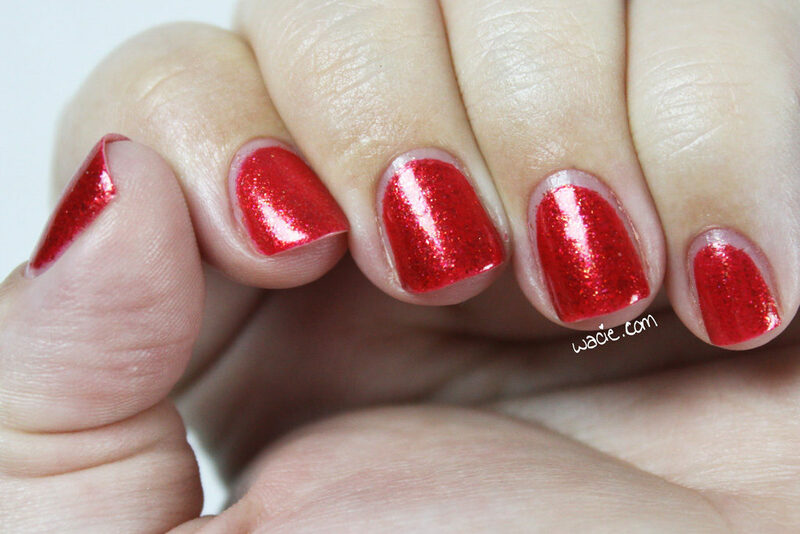 I love reds, and this is a new favorite for sure! Intention and other SpaRitual polishes are available on sparitual.com.